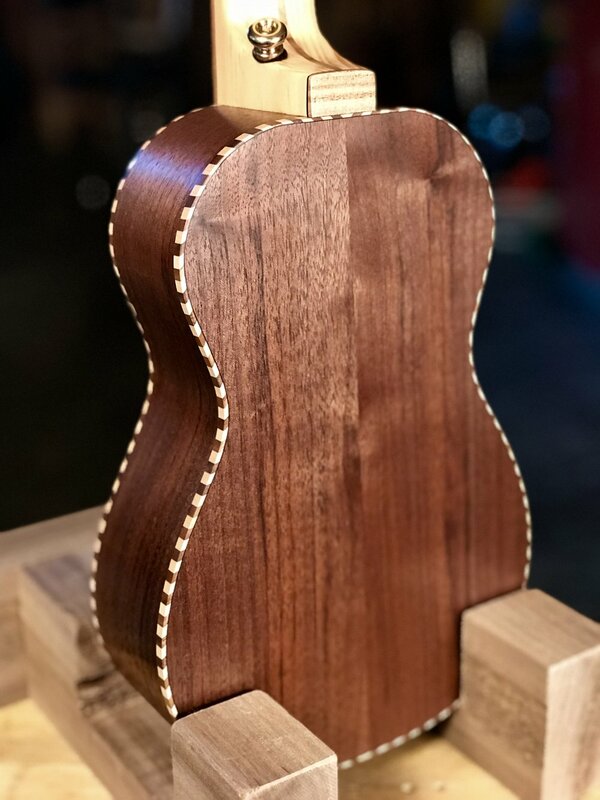 Yes, I made up the name "Alto" ukulele. 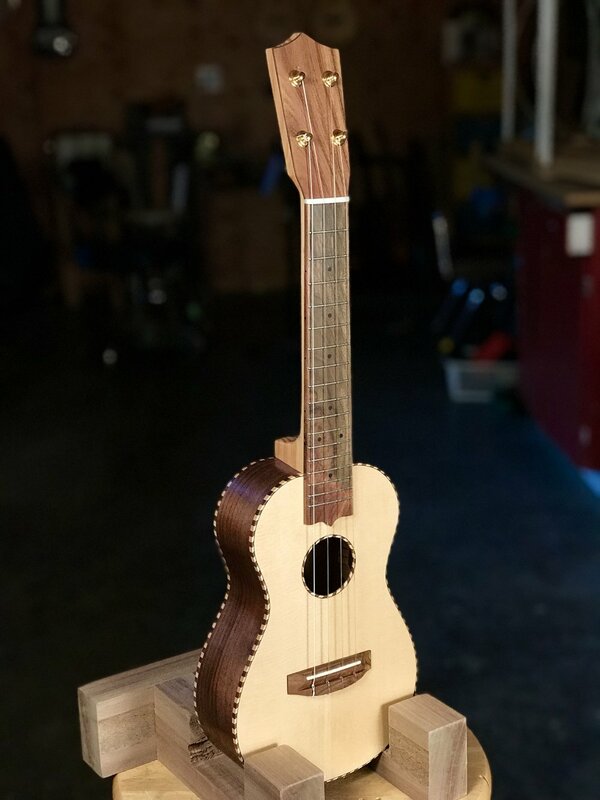 Just a whimsical design I dreamed up in an attempt to create the ideal small uke. I wanted an instrument that had the cuteness and plink of a classic soprano but a little more depth of tone and a slightly larger size. 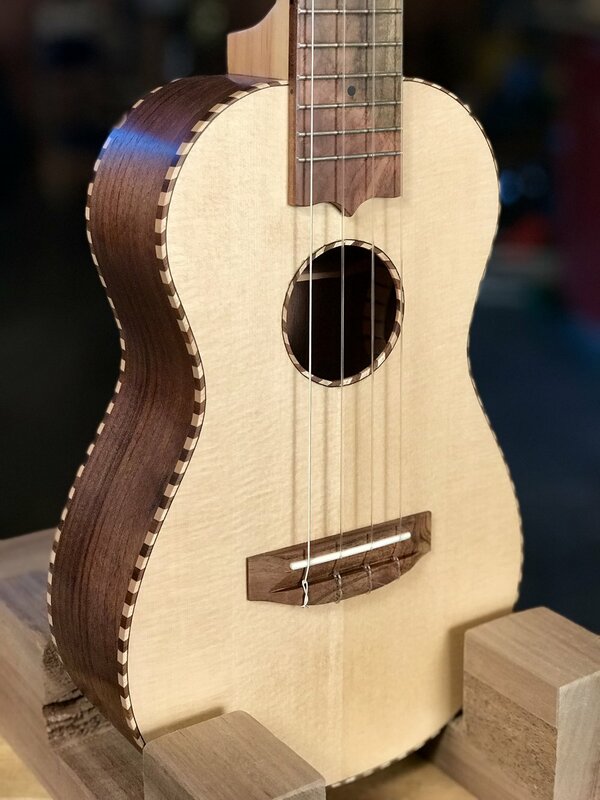 The traditional concert ukulele always seems to be just a lack luster tenor, so I thought the alto might be the solution. I admit it, I did it just cause I wanted to. But that is the prerogative of the artist. We do things that we dream about and hope someone else cares enough to buy it! I have to admit that at the end of the demo video I actually got a little choked up hearing and feeling this idea come to fruition. 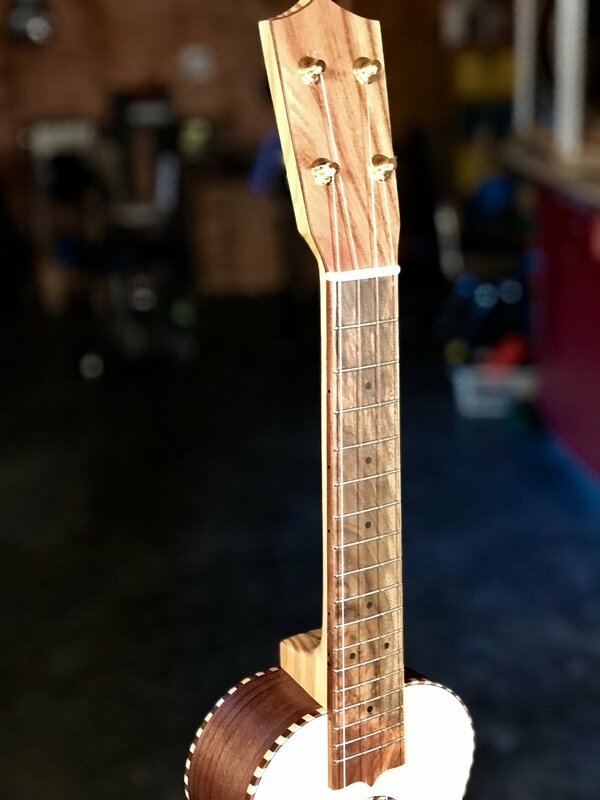 This Alto uses a beautiful figured Engelmann spruce top and Oregon walnut from Goby for the back and sides. The dark pistachio comes from California orchards. 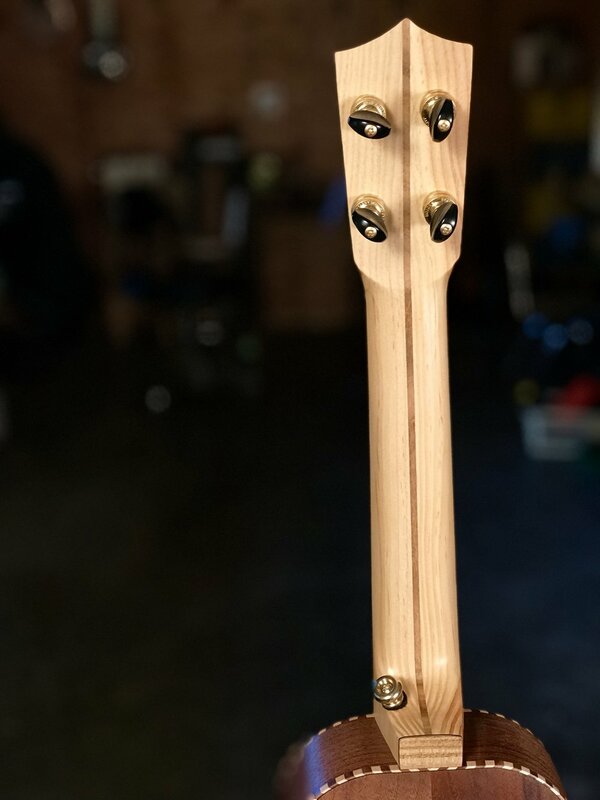 The fir neck comes from my friend Cath's property on Vashon Island, WA. May it sing like I dreamed it would.